Participants in the Canadian Interfaith Conversation look for interfaith partners in a variety of projects or advocacy campaigns - check them out below. Religions for Peace is seeking signatures to their letter asking Prime Minister Justin Trudeau to ensure that Canada signs the Treaty to Ban Nuclear Weapons. This past summer, the many efforts to eliminate these weapons of mass destruction came to an historic moment at the United Nations. 122 nations gathered to agree on and endorse a Treaty to Ban Nuclear Weapons. The organization, ICAN, was key in bringing about this decision, one of the most hopeful that the United Nations has seen in a very long time. Certainly, after any movement forward had been stalled for many years, the world breathed a sigh of gratitude and relief. The Nobel Peace Prize Committee saw the significance of this accomplishment, and has just awarded ICAN the Nobel Peace Prize for 2017. The danger of the deployment of nuclear weapons has been growing over the last year, and it is critical that the nations of the world take immediate action. We are deeply dismayed that Canada, who has been a leader in nuclear abolition, was not present at the negotiations this past summer, and has not signed the Ban Treaty. There can be no valid reason for avoiding the responsibility to join in this movement of hope and protection for the world. For the sake of our children, and for our vulnerable Earth on which we depend for life, we call on you to reconsider your position and make a decision to sign and ratify the Treaty to Ban Nuclear Weapons. This Treaty is completely consistent with the Nuclear Non-Proliferation Treaty, and its implementation would assure peace and security in the world far more than the existence of nuclear weapons. If you would like to add your signature and the faith group or organization you represent, please email Sister Mary-Ellen Francoeur, sistermef@gmail.com. Interfaith Climate Statement to COP23, "Walk on Earth Gently"
The Interfaith Climate Statement to COP23, "Walk on Earth Gently," is now ready for signatures. The focus this year is on a Multi-Faith Invitation to Sustainable Lifestyles. It is a collaborative effort among many faith organizations who engage with the United Nations Framework Convention on Climate (UNFCCC) and who collaborate together in the Interfaith Liaison Coordinating Committee. The statement and project is coordinated by Green Faith. Partners to date include the World Evangelical Alliance, the World Council of Churches, CIDSE, Franciscan Action Network, the Global Catholic Climate Movement, the Global Muslim Climate Network, GreenFaith, Hazon, One Earth Sangha, Friends World Committee for Consultation, Brahma Kumaris World Spiritual University, The Bhumi Project. To sign on as leader of a religious organization, please send your name, title and organization to GreenFaith's Rev. Fletcher Harper at fletcher@greenfaith.org. To learn more, you can also email Rev. Fletcher Harper. Colour of Poverty - Colour of Change’s 30 in 30 Campaign asks people to pause and consider the greater significance of Remembrance Day and its relationship to the International Day for Human Rights. 30 days in 30 refers to the 30 days between November 11 (Remembrance Day) and December 10 (the International Day of Human Rights). 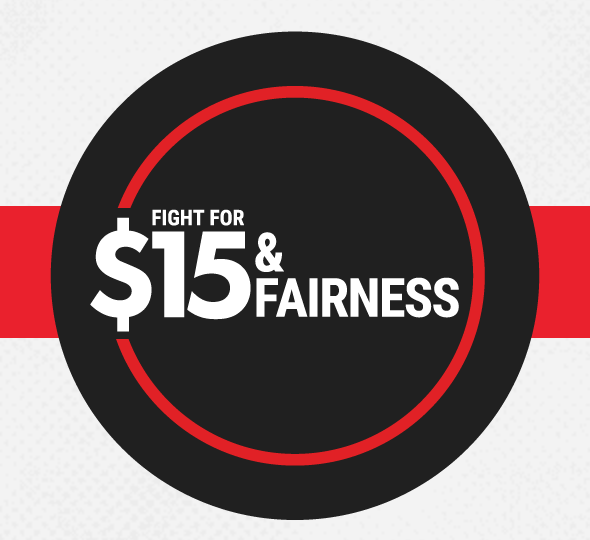 This campaign is designed to promote the rights of all Ontarians and Canadians, from peoples of diverse faith backgrounds to First Peoples, workers, women, peoples of colour, LGBTQ individuals, immigrants, and people experiencing injustice in health, education or housing. December 10, the International Day for Human Rights, is also the anniversary of the adoption of the Universal Declaration of Human Rights (UDHR). The UDHR happens to have 30 articles, a number exactly matching the 30 days between Remembrance Day and the International Day for Human Rights. "30 in 30 - From Remembrance to Equity, Inclusion & Human Rights" is meant to provide an opportunity for people to explore each UDHR article, day by day, as a journey of “remembrance” of the reasons people engaged in violent forms of conflict resolution in the first place: the preservation and/or pursuit of freedom, equity, inclusion, fairness and human rights. Understanding the significance of the 30-day connection between Remembrance Day and the International Day for Human Rights can help Canadians creatively apply an equity and justice-informed understanding of the Canadian Charter of Rights and Freedoms, the Ontario Human Rights Code, and the Canadian Human Rights Act. It can also help us understand how the Canadian rights instruments connect with the full spectrum of international human rights legal instruments, from the United Nations Declaration on the Rights of Indigenous Peoples (UNDRIP) to the the International Convention on the Elimination of all forms of Racial Discrimination (ICERD), to the Convention on the Elimination of all forms of Discrimination Against Women and many more. This 150th anniversary year of Canada and Confederation, as well as the recent commemoration of the 100th anniversary of World War I, is an ideal time to emphasize the core architecture of human-rights-based values, policies and programs across Ontario and Canada. It is also an opportunity to deepen Canadians’ shared understanding and appreciation of these values and the importance of preserving them for the future. Colour of Poverty - Colour of Change asks members, partners and all others to let them know how you intend to connect your scheduled events with this campaign or otherwise take advantage of this opportunity for teaching, learning and taking action in order to nurture a deeper understanding and promote a shared commitment to equity, human dignity and social justice. Click here for more information and to find out how to add your name to the statement. The summer of 2016 has been a “summer of discontent” throughout much of the world, especially with respect to interreligious understanding. Considerable shock and outrage has been expressed worldwide for the draconian behaviour of the French “fashion police” in the continental bikini/burkini affair. The burkini, a type of discreet swimwear worn by some Muslim women to preserve modesty, was banned in 30 French jurisdictions. Claiming the burkini breached the “respect of good morals and secularism,” a Muslim woman in Nice was fined and forced to publicly remove some of her clothing. Read more by downloading the Manitoba Multifaith Council Statement. On June 14, 2016, representatives from various faith communities including the Centre for Israel and Jewish Affairs, the Canadian Conference for Catholic Bishops, the Canadian Council of Imams, and The Evangelical Fellowship of Canada, held a joint press conference to call on Canada’s elected officials to support a national palliative care strategy and to raise awareness of gaps in palliative care. The group, along with the Armenian Prelacy of Canada, the Canadian Conference of Orthodox Bishops, and the Ottawa Muslim Association, also released an Interfaith Statement on Palliative Care. The Manitoba Multifaith Council’s AGM will take place on May 30 at Mulvey school, an inner city location. We have chosen as our programme for that evening a panel discussion entitled Education, Religion and a New Canadian Pluralism. Our panelists include Tony Tavares, Manitoba Education Consultant for Diversity Education, Helen Settee-Robinson, Director, Manitoba Aboriginal Education Directorate, and Ruth Ashrafi, Director of Judaic Studies, Gray Academy. The Muslim-Jewish Dialogue Group of Winnipeg is flourishing. Our events are now taking place on a monthly basis. We are exploring Sharia and Halacha topics; at the moment we are learning about family law in both traditions led by scholars – Dr. Ruth Ashrafi a Jewish scholar originally from the Netherlands and Drs. Rory Dickson and Ahmet Seyhun who teach at the University of Winnipeg. Our attendance is such that we have had to for the sake of space and discussion purposes, limited membership for the time being to those currently engaged. The 15th Annual Holocaust and Human Rights Symposium took place at the University of Winnipeg with well over 1200 students in attendance. In addition to an inspiring keynote presentation from Toronto based survivor Pinchas Gutter, who spoke about faith in a very moving way, our afternoon presentation featured a young a Kurdish refugee who came to Canada at the age of 14 without any education and is a law student today. She spoke not only about her difficult 14 years in a refugee camp, at times desperate for even a sip of water, but of her struggle in Canada to wear her Muslim identity both within and without. The Interfaith Climate Change Statement to World Leaders was released on April 18, in advance of the Paris Agreement Signing Ceremony in New York on April 22nd. Bishop Mark MacDonald, National Indigenous Bishop of the Anglican Church of Canada, was one of the speakers. The Interfaith Climate Change Statement is the broadest faith statement to date, urging implementation and increased ambition on climate change, and includes almost all major religions, 270 leaders including the Dalai Lama and Archbishop Tutu, numerous groups, and over 5550 individuals. For more information, see a press release about the statement. Two Participants in the Canadian Interfaith Conversation – Canadian Conference of Catholic Bishops and The Evangelical Fellowship of Canada – developed a Declaration on Euthanasia and Assisted Suicide, which has been signed by representatives and individual members of faith communities, including Jewish and Muslim groups, across Canada. The Declaration was released at the end of October 2015, but individuals still have opportunity to sign the Declaration until May 2016. Interfaith conversation has begun about the need for high-quality, easily-accessible palliative care as a viable option to physician-assisted suicide. For more information on how to participate in this ongoing discussion, contact Aileen Van Ginkel. In June 2015 the Truth & Reconciliation Commission, established to investigate the traumatic impact of residential schools on Indigenous communities, addressed several "Calls to Action" to all faith communities in Canada. #48 asked the communities to indicate by March 31, 2016 how they planned to "adopt and comply with the principles, norms and standards of the United Nations Declaration on the Rights of Indigenous Peoples as a framework for reconciliation." 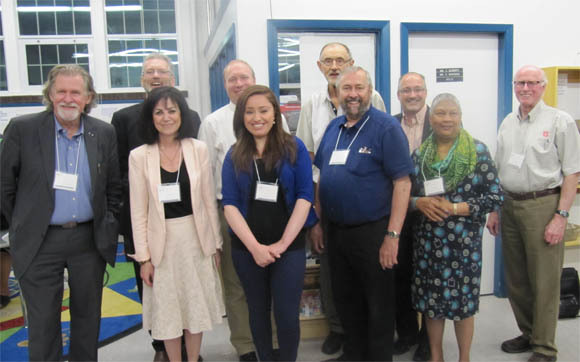 Read more on how the Canadian Interfaith Conversation and several of its Participants responded to the Call to Action. Children in schools across Toronto - and elsewhere in Canada - created cards to welcome Syrian refugees to the city. They learned how to write greetings in Arabic and even how to write right to left. Sara Hildebrand of Millennium Kids led the workshops in schools across Toronto, showing students how make welcome cards for Syrian refugees. Millennium Kids is a grassroots group that promotes children's awareness of the United Nations' "millennium development goals." In total, 45 Welcome Card workshops were provided, with 32 schools participating, along with diverse faith communities from Ontario, Quebec, Saskatchewan and PEI. Check out this article in The Toronto Star for more details. Representatives of a variety of faith communities and spiritual groups spoke to the issue of climate change at the UN Climate Change Conference in Paris, December 2015. An inter-faith/spiritual group released their "Statement of Faith and Spiritual Leaders on the upcoming United Nations Climate Change Conference, COP21 in Paris in December 2015." Helpful to groups seeking to be involved in climate change matters from a faith perspective is this recording of a webinar by Climate Outreach and Green Faith. Representatives of several Participants in the Interfaith Conversation have added their signatures to the statement, "On Promoting Climate Justice and Ending Poverty in Canada: Faith Communities in Canada Speak Out." The statements builds on earlier documents and responses, including those related to UN Millennium Development Goals (2010) and climate change (2011). Signatures are still being welcomed - for more information contact Peter Noteboom at the Canadian Council of Churches. Millennium Kids are calling all peoples and nations to join them in bold strategic action to meet the Millennium Development Goals (MDGs). Millennium Kids’ volunteer staff teach MDG workshops for schools, social justice conferences, faith communities and camps with a view to encouraging youth to explore student advocacy for the MDGs with gratitude for efforts made so far. Millennium kids/youth have gathered petition signatures for the MDGs, written and tweeted letters to the Prime Minister and Minister of International Development, met with members of parliament, requested appearances before government standing committees, travelled to the House of Commons for the tabling of their MDG petition. In December 2014, a 14-yr-old millennium kid spoke at the United Nations, NYC, challenging faith leaders to finish well on the MDGs. The spokes-youth of this movement are every youth born in the year 2000, the same year every United Nation country signed a global pledge to spare no effort to achieve the Millennium Development Goals by 2015. Their lives provide a measuring stick for the progress of 193 nations pursuing the MDGs by 2015. In any race it's the home stretch that matters most! For more information contact Sara Hildebrand. Click below to view photos from Millennium Kids' trip to Ottawa in the spring of 2014. 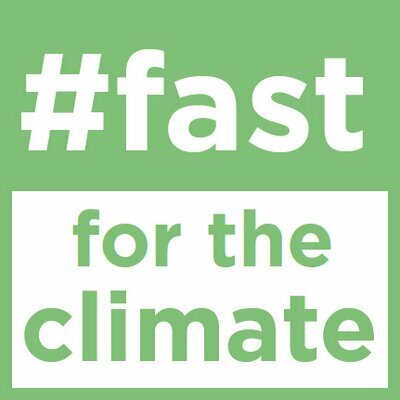 Interfaith Fast for the Climate is an initiative of faith groups around the world calling for a fair, ambitious and binding negotiated global climate agreement in Paris, December 2015. We fast on the first day of each month in solidarity with those who are already victims of climate change impacts, and those who are increasingly vulnerable. Please join us at www.fastfortheclimate.org. Fasting is a spiritual discipline of most faith communities but has also been joined by many in civil society who wish to express their support for the system change needed from governments and behaviour change needed from people. In North America we will also have a special focus every day from February through March, when our region will take part in a rolling 365 days of fasting. If you are interested in getting involved, please contact Joy Kennedy.